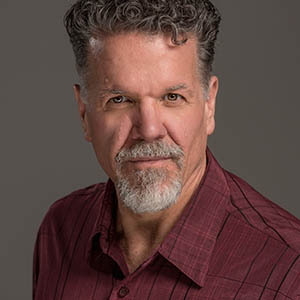 William Nield Christensen has been a member of the voice faculty at the Wanda L. Bass School of Music at Oklahoma City University since August of 2004. His students have achieved significant levels of success: he has had a Grand Prize Winner at the Naftzger Young Artist Competition, a first prize winner at the Vocal Arts DC Young Artists Music Competition, a first prize winner in the vocal division of the Crescendo Music awards, a 2nd place winner in the Irene Dalis Awards, the Dr. Robert Campbell/Cesare Santeramo Award in the Opera Index Competition, two semi-finalists at the Lois Alba Aria Competition, a semi-finalist at the Domingo-Thornton Young Artist Competition, a semi-finalist at the Eleanor McCollum Competition at the Houston Grand Opera. His students have sung on the stages of Deutsche Oper Berlin, San Francisco Opera, Glimmerglass Opera Festival, Fort Worth Opera, Sarasota Opera, Palm Beach Opera, Des Moines Opera, Opera Santa Barbara and Virginia Opera. Dr. Christensen has performed with the Oklahoma City Philharmonic, the Fort Smith Symphony, Brightmusic Society of Oklahoma, the Hawaii Performing Arts Festival, the Santa Barbara Chamber Orchestra, the Santa Barbara Choral Society, Grand Opera Santa Barbara, Opera Santa Barbara, and the Württembergishe Philharmonie Reutlingen.